Continues the popular philosophy behind Everyday Super Food, bringing exciting healthy eating to the heart of the home. Get more goodness into the ones you love. 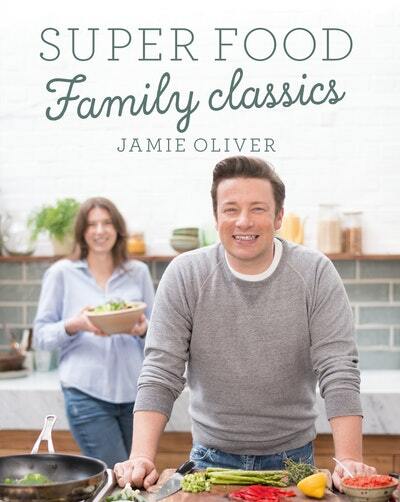 Jamie's Super Food - Family Classics continues with the popular philosophy behind Jamie's Everyday Super Food, bringing exciting healthy eating to the heart of the home. Mix up your recipe repertoire and freshen up your family favourites with new nutritious, tasty meals. Make your family menu something to shout about. Sneak in extra veg with Squash Mac 'N' Cheese and enjoy a no-arguments family dinner with Chicken Fajitas. When you need a no-fuss meal on the table fast try Chicken Goujons or Pasta Pesto, or get ahead with freezer-friendly Jumbo Fish Fingers or Proper Chicken Nuggets. Use ingredients you know the family already love in new, exciting ways, with Sweet Potato Fish Cakes or Chocolate Porridge. 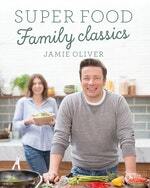 Loads of super-fun inspiration from Jamie Oliver’s Super Food Family Classics. Chocolate porridge – how cool is that! 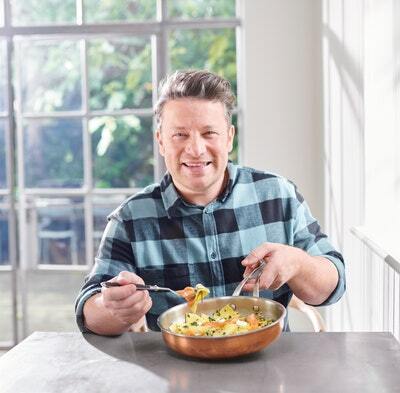 Try this recipe from Jamie Oliver’s Super Food Family Classics. Popeye knew what he was doing! Try this recipe from Jamie Oliver’s Super Food Family Classics. Love Super Food Family Classics? Subscribe to Read More to find out about similar books.